In the past few months, college students have been raising their picket signs to protest issues ranging from tuition increases to police brutality. Students have also been speaking out over another issue that seems to be getting less media attention: who will speak at their school’s graduation. Last year at Rutgers University, students participated in an on-campus sit-in to protest the choice of former Secretary of State Condoleezza Rice as commencement speaker, feeling that her role in the Iraq War made her unworthy of giving the speech. Rice eventually withdrew as a result of these demonstrations. Even less controversial figures have been subject to these protests, too. In 2009, UCLA students derided actor James Franco after he was announced as their tentative commencement speaker, claiming he lacked the qualifications for the task. Franco later backed out of his engagement, citing schedule conflicts. Though this issue of commencement speaker protests may be viewed as another example of political correctness gone awry, these protests are absolutely justified. Student protests are not censorship in action, and there is no freedom of speech issue present. Speaking at a commencement ceremony is a privilege, not a constitutionally guaranteed right. The First Amendment does allow freedom of expression, but it does not guarantee speakers to express their views in any platform they desire. Nobody is entitled to speak at a commencement ceremony because it is awarded to people who are seen as the best and brightest in their fields, men and women of high intelligence and sterling character. On the other hand, Rutgers University faculty members called Condoleezza Rice’s personal integrity into question, calling her a “war criminal” for her actions before and during the Iraq War. UCLA students noted that James Franco never had the best academic record. Having a commencement speaker who students don’t look up to and can’t respect is an embarrassment to both the university and the students of the graduating class. Figures such as Rice should not be banned from college campuses completely. There is a place for opposing views in college. Speakers such as Condoleezza Rice should be invited to speak and debate on campus, sharing their viewpoints in order for students’ world-views to be challenged. However, a commencement ceremony is not the proper venue for this kind of dialogue to take place. 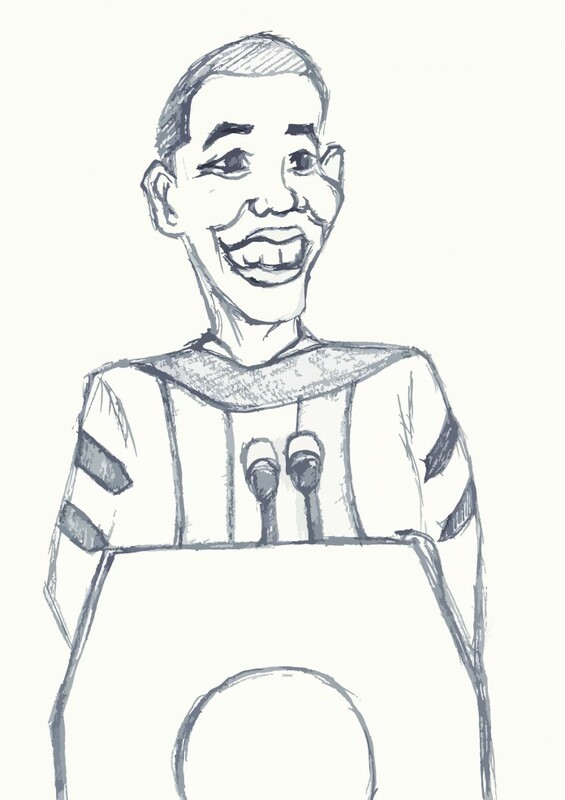 The commencement speaker should be someone who positively represents the university and the graduating students. If the graduates feel that their commencement speaker is not an adequate representation of their class for whatever reason, they are completely justified in both expressing their dissent and attempting to replace the speaker. Graduation day is all about celebrating the years of hard work that the students put in. The university having a commencement speaker that the students feel is a bad representation is like your mom forcing you to invite your annoying neighbor to your birthday party. You should be able to celebrate your special day your way, not have someone you dislike forced upon you, especially not after years of midterms, finals, and tuition payments. Unfortunately, there is no way to ensure having a speaker who will satisfy every student. However, universities should take steps to make sure that their candidates will at least be palatable to the majority of students. Universities should speak to their students and hear the qualities that would constitute their ideal speaker. It is always possible to find a replacement that will make the majority of students happy. The year after Condoleezza Rice withdrew from giving her speech, Rutgers students started a social media campaign to get someone they wanted: Bill Nye, host of the science show Bill Nye the Science Guy. He eventually was selected to serve as this year’s commencement speaker. 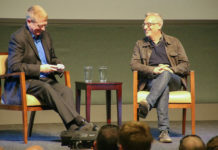 His appearance demonstrated that it is possible for universities to listen to student input and find a speaker whom the graduating class approves of. Whether it’s Condoleezza Rice or James Franco, students have the right to protest if they feel that a certain speaker is not right for the job. It’s the student’s ceremony, and universities should be able to find someone who meets the graduating class’ qualifications.